Edens Structural Solutions is a privately owned company located in Bixby, Oklahoma. We serve the foundation repair needs of customers in Tulsa, Broken Arrow, Bixby, Jenks, Glenpool, Sand Springs, Sapulpa, and other northeast Oklahoma cities. 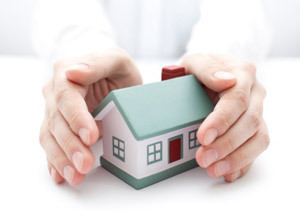 Our main services are residential foundation repair and commercial foundation repair. For over 30 years, the Edens Structural mission has been to give customers the best service and foundation repair solutions at a competitive price. Edens is the only Oklahoma company to custom manufacture piers when a customized solution is necessary. In an effort to maintain a high level of integrity, we recommend customers hire a third-party structural engineer to evaluate their home’s foundation. We strive to give more than our foundation repair customers expect, without short-cuts. Edens employees are in uniforms and follow the Edens Structural Solutions standard of conduct and performance to ensure customers receive a first class experience. They are required to show the utmost respect toward each homeowner’s property and leave every foundation repair job site clean at the end of each day. Edens Structural carries general business liability insurance for their customer’s protection and workman’s compensation for their employees’ benefits.